LinkedIn is the largest professional social network online today with an astounding 450 million users—growing every minute with two new users per second. 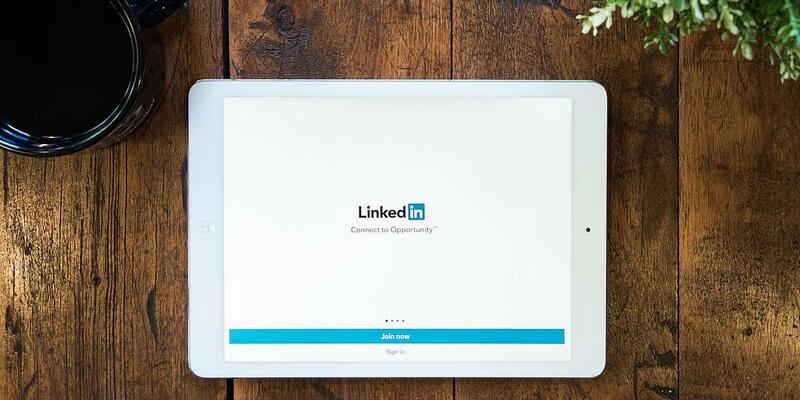 If you are a business professional and you do not have a powerful presence on LinkedIn, you are undoubtedly missing valuable opportunities to connect and grow your business. We will explore four simple ways your team can use this robust social network to boost business and encourage successful sales development using a few key points from HubSpot’s ebook: Learning LinkedIn From the Experts. Leveraging the power of LinkedIn begins with building a solid professional profile and presence. As a professional, how do you stand out from the crowd on LinkedIn? How do you differentiate yourself from the millions of professional users on the network? What will make your profile visitors want to learn more about you and your business to ultimately connect with you? You must first establish a foundation in order to begin building your influence, generating introductions and referrals, and uncovering valuable business opportunities. LinkedIn suggests having a completed personal profile provides you with a 40% greater chance for networking success. Additionally, make sure personal profiles are completed for all internal employees. This is the most effective way to showcase your team’s talents, backgrounds, experiences, passions, interests, and areas of expertise. Inbound marketing on LinkedIn begins with ensuring that your company can be found in the Companies directory, and your company can be “followed” by users who want to stay up-to-date with your organization. Edit the description of your 'Company Page Overview,' and make sure it is in sync with your company website. Add details about the value your company offers. Add keywords within the Specialty Section. You are allowed to enter 256 characters under the 'Specialties' section so make sure any keywords for which you want your company to be found are here. Pick your industry and make sure you choose the most appropriate, as this is a field that may be used in a search to find your company. List your location. LinkedIn gives you the opportunity to enter up to five locations if your company has multiple branches or divisions. Link your account to your Blog RSS. Enter your corporate blog’s RSS feed to showcase your latest blog entries. LinkedIn is one of the most powerful resources online to market yourself, but you want to give before asking for favors. While this is important to do on any social networking site, it’s particularly important to do on LinkedIn, as so many users are focused on receiving something for themselves or their business. The best way to give to others is to endorse skills and make recommendations. The more you do this—without asking for them in return—the more your connections will want to be helpful and reciprocate. These endorsements and recommendations are great ways to market yourself and your personal brand, so the more the merrier! Do connect with just about everyone since you never know where an opportunity or big breakthrough can come from! Don’t limit your reach. If you only share ideas with those you know and don’t branch out to connect with new people, you cap your amount of potential opportunities. You want your public posts and messages to reach as many people (and prospects) as possible. Add your personal LinkedIn link to your email signature, on other social networking sites, on your business cards, and anywhere else you think would help inspire others to want to connect with you. Once you start receiving 10-20 invitations to connect on a daily basis, you know you’re doing a good job marketing yourself. After you’ve taken the time to grow your LinkedIn presence, market your business and market yourself. It’s important to track the progress made, so you know if your hard work is paying off. As you are growing your LinkedIn presence, are you also driving profile visitors or group members back to your personal or company website? Is that traffic growing over time? Track the growth of your personal LinkedIn network or use other available analytics. HubSpot’s software, for instance, offers social media analytics that will enable you to evaluate your reach. LinkedIn is a powerful social marketing tool specific to business professionals. When utilized correctly LinkedIn can help you grow your influence and build your business. We hope you found this information useful, and wish you luck as you apply this content to build a more powerful business presence and boost sales opportunities. Thanks!